The Braided Cable Crochet Afghan. 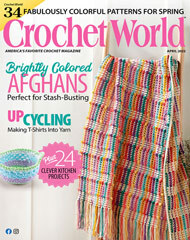 Make this easy crochet afghan using worsted yarn. Size: 29 1/2" x 50 3/4".